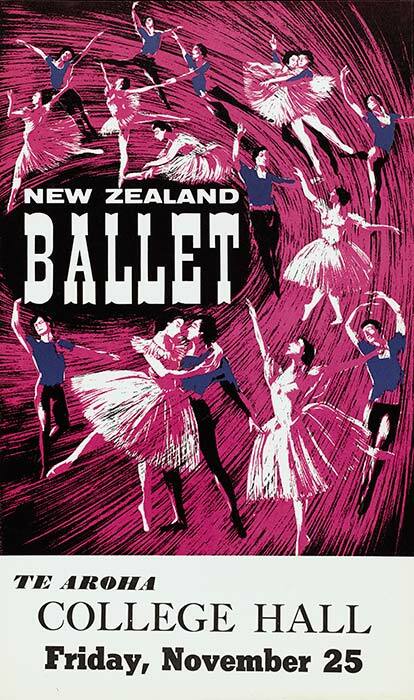 Taking ballet to New Zealanders was one of the strengths of the New Zealand Ballet. The company regularly visited small towns like Te Aroha, whose college hall hosted them in 1966. School performances were part of the tours – children saw ballets including Alice in Wonderland, Peter and the wolf, extracts from Coppelia and the Nutcracker, Pineapple Poll, Petrouchka and others.